In recent decades, there was a trend of print and eBook sales moving to the Internet, where readers buy traditional paper books and e-books on websites using e-commerce systems, among which Amazon Kindle eBook store is the biggest and most widely used eBook store on the web, with a large book library and various genes of eBooks to be selected. But when coming to choosing e-Readers to read eBooks, some people may not choose Amazon Kindle, whose price is comparatively higher than its competitors’, just like Kobo. Therefore, a great many people are wondering whether they are able to read Kindle Books on Kobo. As we all know, Amazon offers a proprietary format, instead of the free and open eBook standard format – EPUB, that only work on their Kindle devices. If you want to read Kindle books on Kobo, you’ll have to remove the DRM from them and convert them to the format supported by Kobo. In this article, we are going to show you a detailed guide on how to strip the DRM from Kindle books and convert them to the most popular eBook format – EPUB, so that you can read them on your Kobo device. 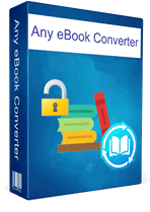 Any eBook Converter enables us to get rid of the DRM in Kindle books and convert them to EPUB format within three simple steps. Below is a demonstration of the whole process. Before we get started, please have the program installed correctly on your computer. Click "Add eBook" button on the upper left and there will be a pop-up window allowing you to browse and upload the Kindle books that you want to read on your Kobo device. Note: The DRM of your Kindle books will be removed immediately once they are added to the program successfully. 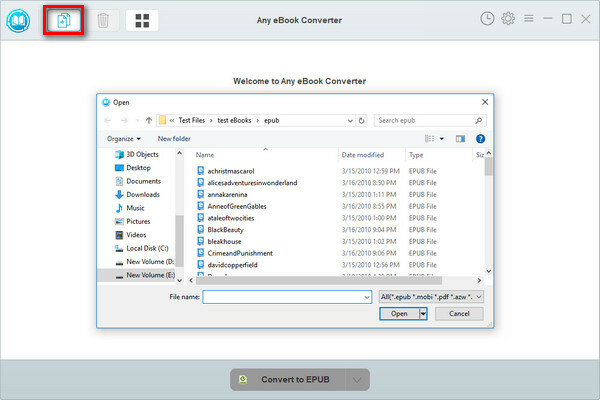 Click “V” icon on the bottom and select "EPUB" as the output format. 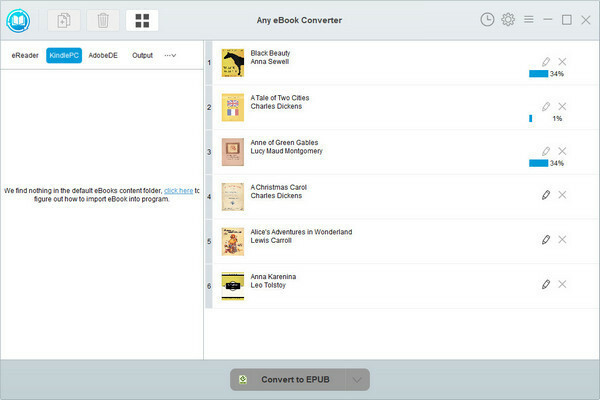 By clicking the “Settings” button on the upper right, you can customize the output path for the converted books. 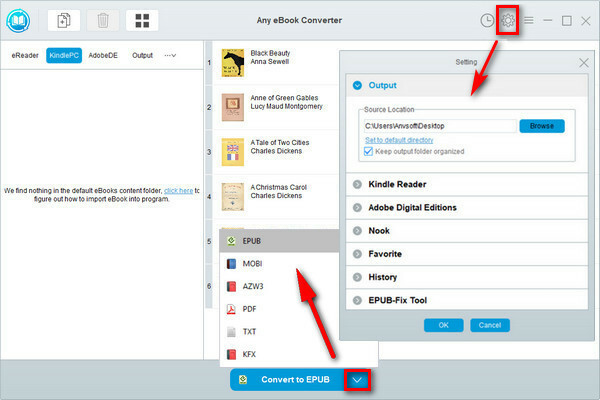 Click "Convert to EPUB" button to start converting your Kindle books to DRM-free EPUB format. Now you've got your DRM-free Kindle books in Kobo-supported EPUB format, you can easily read them on your Kobo device.